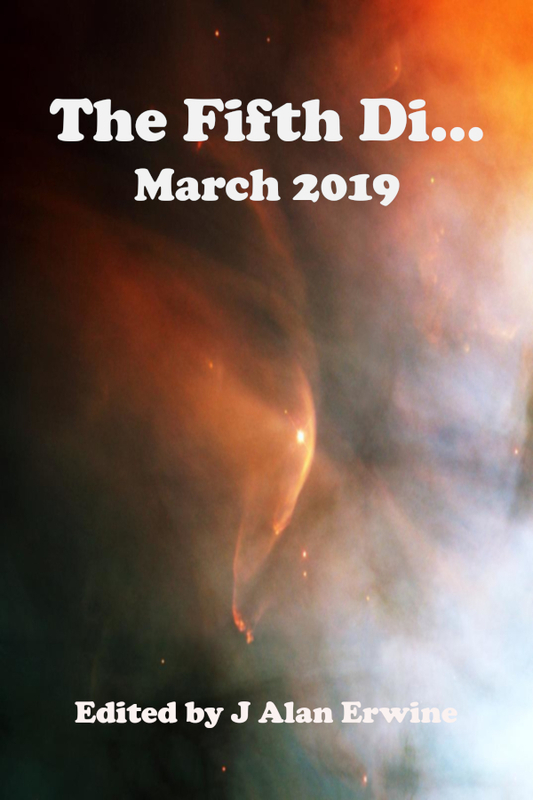 The Fifth Di… is a science fiction and fantasy magazine that was first published by ProMart Writing Lab as a print zine. Eventually it was moved to the web, and then with the passing of ProMart founder Jim Baker, Tyree Campbell took the little webzine with him to Sam’s Dot Publishing. Along with the zine, Tyree also brought along the zine’s editor, J Alan Erwine, and now that J has left Sam’s Dot, he’s brought Jim’s little magazine to Nomadic Delirium Press.